U.S. Attorney for Massachusetts Andrew Lelling announced Sunday that federal prosecutors have charged Louis D. Coleman III, of Providence, Rhode Island, with kidnapping, resulting in death. The charge carries a sentence of mandatory life and also makes 32-year-old Coleman eligible for the death penalty if convicted. A man who was arrested in Delaware after a Massachusetts woman's body was found in the trunk of his car now faces a federal charge. Jassy Correia, a 23-year-old mother who lived in Lynn, Massachusetts, was last seen on Feb. 24 leaving a Boston nightclub where she had gone to celebrate her birthday with friends. Coleman was later identified as a suspect, and he was arrested in Delaware on Feb. 28, at which time Correia's body was discovered in the trunk of his car. "Today's charge is a result of a tremendous amount of law enforcement work done in a very short time," Lelling said. "The federal charges are being brought because of the multi-state nature of the crime and the penalties available in federal court. And they're being brought here because Ms. Correia is from here, was taken from here, and justice should be done here if at all possible." Suffolk County District Attorney Rachael Rollins voiced her support for Lelling's decision to seek the federal charge. "Given the evidence as it currently stands, a federal prosecution for interstate kidnapping causing death is in the best interest of this case. This process will best serve Jassy's family, Boston and our Cape Verdean community who deserve the chance to see justice done in the city they call home." According to Lelling, the kidnapping resulting in death charge was the logical choice because it was the most applicable charge and it also carries the highest possible sentence. While no murder charge was announced Sunday, Lelling said, "I think there is probable cause to believe he [Coleman] killed Ms. Correia." A number of new details were revealed about the case on Sunday, with Lelling announcing that it appears preliminarily that Correia died from blunt force trauma and strangulation. Lelling added that while only a preliminary medical examination has been done at this point, it does not appear Correia was sexually assaulted. Authorities believe Correia put up a fight, saying there are "definitely indications that she did not go quietly." Lelling cited several examples that suggest Correia put up a struggle, including the forward windshield of Coleman's red sedan being cracked in two locations on the passenger side, significant bruising on Correia's body, and a scratch on Coleman's face that he said was from Correia. A timeline of the investigation was also provided by Lelling on Sunday. He said, after learning of Correia's disappearance, Boston police reviewed surveillance tape from outside of Venu Nightclub, where Correia had last been seen. Police observed on the footage that Correia was on the sidewalk at 2:14 a.m. when she was approached by a man, later identified as Coleman. He could be seen interacting with her, and then leaving the area with her before the two get into his red sedan. Lelling noted that it does not appear that Correia knew Lelling but said there is still a lot left to learn. Boston police were then able to retrieve an image of Coleman's driver's license from the nightclub and match it to the man seen outside with Correia. The license showed an address for an apartment in Providence, which was later searched by Rhode Island authorities. About two hours after Correia was seen getting into Coleman's vehicle in Boston, surveillance footage from Coleman's apartment building in Providence shows him parking around 4:15 a.m. on Sunday, Feb. 24. Lelling said they are still investigating the route the car took between the street outside the nightclub and Coleman's Providence apartment. It's not clear what happened during that two-hour span, but Lelling noted that Correia got into the red sedan under her own power in Boston but was carried out of it in Providence. Authorities are continuing to look into what occurred during those two hours, Lelling said. 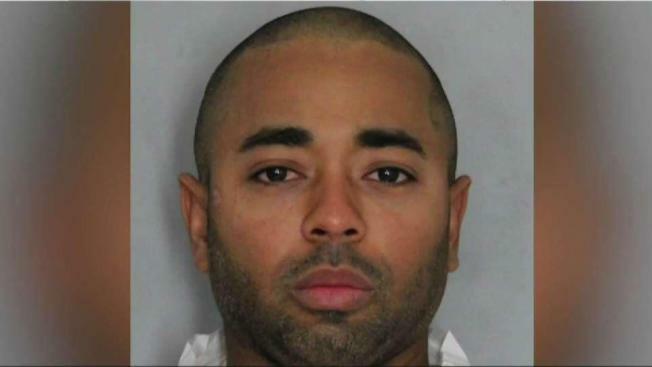 Once Coleman is seen arriving at his apartment, surveillance footage shows Coleman exit his vehicle alone. He returned a short time later carrying a blanket and then walked from the car to the front of the building carrying a body with long hair and clothing consistent with Correia's description. Once he entered the building, surveillance video showed Coleman dropping the victim on the floor and dragging her towards the elevator, and subsequently towards his apartment unit. The victim was not moving and her body was limp. On Feb. 26, surveillance video showed the defendant leave the apartment building and return with Walmart shopping bags. Boston and Providence police officers obtained video surveillance and a receipt from a Walmart in Providence, that revealed Coleman had purchased three Tyvek suits, duct tape, two candles, electrical tape, one mask, surgical gloves, two pairs of safety goggles, an odor respirator and CLN release bleach bath. At approximately 9:58 p.m. on Feb. 27, Coleman is seen on video surveillance entering his apartment building with what appeared to be a new, large suitcase. Lelling noted that you could see tags on the suitcase in the video. A few hours later, around 1:15 a.m., on Feb. 28, Coleman is seen in the video wheeling the suitcase away from his apartment unit towards the elevator, eventually out of the building and into the parking lot where his vehicle was. Coleman appeared to have difficulty lifting the suitcase into the trunk of his car, indicating it was bearing some weight, Lelling said. Additional surveillance video showed Coleman on several occasions exiting his apartment building with other items, including trash bags, cardboard boxes, a bottle of bleach, a laptop case, a computer tower and a small duffle bag. Later in the day on Feb. 28, a search warrant was executed at Coleman’s apartment, where two packages of hooded coveralls and two respirator masks were recovered. A sofa with four large cushions, one of which was missing a cover, was also observed. In a dumpster outside of the apartment complex, authorities discovered white trash bags, a bag containing plastic sheets, men’s jeans with bleach stains and a belt, a white nylon hooded coverall, an empty box of baking soda, clear safety goggles, a respirator mask, duct tape packaging, rubbing alcohol, Walmart bags, used plastic gloves, an empty package from a car air freshener, three empty packages of purifying charcoal and a sponge. On the afternoon of Feb. 28, Coleman’s vehicle was stopped by Delaware State Police on Interstate 95 South near Wilmington, Delaware. Officers ordered Coleman out of the vehicle and asked him if anyone else was in the vehicle with him, to which Coleman allegedly responded, "She’s in the trunk,” or words to that effect. Lelling said it appears the traffic stop and subsequent arrest were uneventful, contrary to reports that a high-speed chase was involved. Officers discovered Correia's body in the trunk of Coleman’s vehicle, wrapped in a sofa cushion cover, which was inside of a black trash bag, inside of a large suitcase that matches the suitcase Coleman was observed bringing into his apartment on Feb. 27. Correia was found naked, with significant bruising and a bloodied face. She was bound with gray duct tape and was covered in what is believed to be baking soda. Lelling said reports that Correia's body was mutilated or dismembered are not correct. Though Lelling did note that while there is no way to know what Coleman planned to do with Correia's body, all of the cleaning and cutting supplies found in his vehicle imply that he planned to somehow dispose of her body. From Coleman's vehicle, officials recovered a duffle bag, a pair of new long-handled loppers, plastic garbage bags, clothing, a red plastic gas container, a green butane lighter, black gloves, charcoal air purifiers, air fresheners, tinted safety glasses, plastic Walmart bags, work towels, cloth work-gloves, a new set of DeWalt pliers, a laptop, a computer hard-drive/tower, and disinfectant wipes. Coleman was taken into custody and transported to a Delaware State Police barracks. There, it was noted that Coleman had a large bandage on the right side of his face. When asked about it, he allegedly replied, “It’s from the girl," or words to that effect. Coleman will appear in federal court in Delaware on Monday, March 4 at a time to be determined. He will be transferred to Massachusetts at a later date. It was not immediately known if Coleman had retained a lawyer who could speak on his behalf. Back in Massachusetts, Boston Police Commissioner William Gross said this tragedy is affecting people throughout the city. "I can't tell you how upsetting this is, as I talk to folks across the city. Everyone has loved ones in their family, daughters, nieces, and this is just a horrible tragedy for the family," Gross said at the press conference. "On behalf of Mayor Walsh and the men and women of the Boston Police Department, we extend our most sincere condolences to the Correia family for the loss of their loved one." In addition to DA Rollins and Commissioner Gross, Lelling was joined at the afternoon press conference in Boston by Joseph R. Bonavolonta, Special Agent in Charge of the Federal Bureau of Investigation, Boston Field Division; John Gibbons, U.S. Marshal for the District of Massachusetts; Suffolk County District Attorney Rachael Rollins; Colonel Nathaniel McQueen Jr., Delaware State Police; and Colonel Hugh T. Clements Jr., Chief of Police, Providence Police Department. All officials in attendance pledged their support and deep condolences to the Correia family. They universally noted this investigation has been a team effort, citing cooperation among several law enforcement agencies in three states. "We mourn the loss of a young life taken much too soon and our sympathies go to the friends, family and especially her young daughter, who is now faced with the sobering reality of having to grow up without her mother," Bonavolonta said of Correia's 2-year-old daughter. "We're all working together collaboratively to bring justice to the Correia family on behalf of their loved one Jassy," Commissioner Gross said. "We want to send a message to the Correia family as well as the folks in the city of Boston that the collaborative that you see here before you will work this case till the very end and we will bring justice for Jassy." Commissioner Gross continued to emphasize his point, saying the Boston Police Department did not act alone. "We had a partnership in place and that partnership has really paid off…this is what you see. A serious team that is hellbent on justice because no family should ever have to go through this again," Gross said. "Together we are going to send a clear-cut message this is not going to be tolerated, and if you’re even thinking about it, look at the folks up here on this stage, there are many, many great people that work with us and we have your backs out there." DA Rollins echoed the commissioner's sentiments, saying, "I hope today's developments offer some assurances that all of us across many different agencies are working as one on Jassy's behalf...We've reached this point today through round the clock work by many people in many roles." Rollins said this federal complaint does not rule out state-level charges in Massachusetts if the investigation supports them moving forward. Rhode Island police have also filed charges in the case. DA Rollins stressed that her focus is exclusively supporting Correia's loved ones at this time. "This family faces a long road ahead but they have my word that we will be there for them every step of the way," Rollins said. Authorities also emphasized their quest for justice on behalf of Correia and her family. "I assure you that the Providence Police Department will not rest until ultimate justice is served in this case," Chief Clements said. Bonavolonta added, "Rest assured, we will not stop until justice is served." Commissioner Gross also took the opportunity to send a message to anyone who may be considering committing a similar crime. “If we all begin to look out for each other as a city then we can ensure that we’re going to send a message to predators and hunters that people are watching you and that we’re not going to tolerate this in our city,” Gross said.